Learn from real-life SCENAR therapy case studies how you can save time and money using new innovative strategies with your SCENAR device. 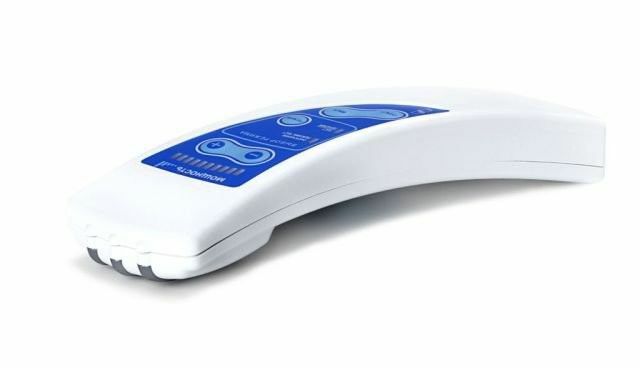 The eBodyFUSION T Archives is a collection of case histories that show you exactly how you can achieve similar SCENAR Therapy results with any SCENAR device. George was a veteran client. He was poisoned with thallium, he should be dead, maybe you remember hearing about it. Anyway thanks to SCENAR therapy he is still very much alive and healthy. 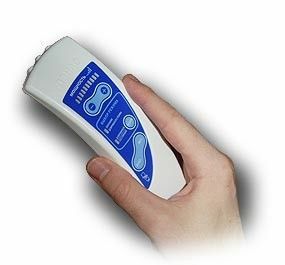 Back in 2006, I think it was, George recommended a new hand held SCENAR device for pain relief from a Russian company called the "DENAS". Recently I discovered it was designed by non other than Dr Alexander Karasev, the original inventor of all the SCENAR devices. The DENAS SCENAR was called the "black sheep" because it "only" had two speeds, slow and fast. For 2+ years we tested the simplest of SCENAR devices - the so called "black sheep" DENAS SCENAR - to discover if it could live up to the 88.25% cure rate SCENAR therapy results usually attributed to the professional models costing thousands. Prior to marketing the DENAS SCENAR device I tested it for six months on myself and my local clients. It worked amazingly well. That raised a lot of questions in my engineering brain so I set out on a quest to find out why it works so well. Over the next two+ years, I collected and compiled over 450 pages of transcripts and over 50 hours of mp3 recording of teleconferences coaching and best practices with clients with many different problems. From paralysis to chronic pain, from bedridden with lymes to carpel tunnel, from digestive issues to cancelled joint replacements. Imagine the wealth of this information and what you will learn ... so fill in your name and email and get a sample teleconference recordings for free. All real-life experiences and how they were able to address their situations successfully. And if you have the time you can upgrade to get 30 hours worth of teleconference recordings and transcripts. Yet, it has not always been roses for me. In 2010, my now very successful SCENAR training websites were shut down by SCENAR America, for alleged trademark infringement. A few years later they abandoned their claim, thanks largely to Dr Irina, but the damage was done. My personal life was a mess, too. Dealing with child custody claims, kidnapping of my boys and searching for them, and the passing of my mom, all of these took a toll on me, maybe you can relate it's not just the courts, it's the medical system, our foods industry and the corporate MSM the list is endless. Since that time I have created 3 new versions of the SCENAR training for the latest SCENAR devices. And, frankly I did not know how to share all that huge amount of data. So, years ago I printed it all and after a move it went into storage. So over time I had forgotten about the amazing results with the simple two speed "black sheep" DENAS SCENAR now all rotting away in boxes at the back of the greenhouse here in Hawaii. Luckily, I stumbled upon all the teleconferences and some of the transcripts backed up in a digital cloud on Amazon, that I thought were lost forever after my web site were mysteriously shut down in 2010. These teleconference archives illustrate how we achieved results comparable to those obtained with the bells and whistles professional SCENAR devices, costing several thousand dollars. 2. They had my expertise as situations evolved through the weekly teleconferences, so listen to your sample all the way through. With all those bells and whistles marketing hype with the professional SCENAR devices you might be tempted to think you should be able to do even more. Judge for yourself with the free sample, but my personal recommendation is that you avoid this costly temptation, and instead learn more about the eBodyFUSION Start Gentle - End Strong wellness plan to solve your pain, boost your energy and rejuvenate. The 4 reasons (at least) why you should get it? What others say about the learning programs? WHERE SHOULD I SEND YOUR SAMPLE TELECONFERENCE? and go to your email and CONFIRM YOUR exclusive subscription and your sample teleconference is in the first email. Copyright 2017. eBodyFUSION.com. All rights reserved. Not medical advice.